This program is only open to graduates of our life coach training program. No exceptions. Learn the Coach Training Success System™ and Unleash Your Gift to Teach and Go to the Next Level of Success as a Certified Coach Educator™! As a coach educator and trainer you can create and deliver coach training programs that can bring you in $997.00, $2,000.00, $5,000.00, and even more per student! And you can repeat that process over and over! Being able to create and deliver your own coach training programs can help you to stand out in the coaching profession in a very powerful way! It can help you to make more money and help more people! If you feel like you have a gift to teach others then this can be a phenomenal program for you! And you keep every dollar that you generate! There are no associated fees that you must pay us! Once you successfully complete the program you will have your own coach training academy or institute up and running, and you will receive certification as a Certified Coach Educator (CCE)™ and Master Certified Life Coach! If you are a graduate of The Character and Self-Esteem (CASE) Institute you have a opportunity to complete this graduate program. This program teaches you how to train and certify other coaches, and create and launch your coach training programs and coach training academy or institute. This exciting, accelerated program is delivered over a period of 12 weeks. You will have an amazing opportunity to strategically work with Dr. Shauntel Peak-Jimenez who has been coaching since 2004, and has educated coaches since 2009. She will share with you insights, success strategies, industry secrets, and more so that you can also own and operate a successful coach training academy or institute. You will receive the rights to use the training materials from your foundational life coach training program (doesn't include advanced certification training programs) to train other coaches. You will learn a step-by-step process to create your own training materials. So what that means is that the foundational life coach materials that were included in your life coach training class, you will have the rights to use those materials to train others as coaches. If you want to train others as life coaches and also train and certify others in an advanced coaching area, you will learn how to create and deliver your own advanced certification programs (since many of our advanced certification programs are trademarked). You can train and certify adolescent coaches, life coaches for women, life coaches for girls, and so on, so just because you don't receive the rights to our advanced certification programs doesn't mean that you can't create your own specialized niche programs. Dr. Shauntel will show you how! Through the Coach Training Success System™you will learn how to create customized programs that are specific to you, your business needs, and your target audience. You will also have access to a training center that has resources and tools that you can use to help build and launch your coach training academy or institute. Anyone training coaches without receiving rights from us through this specific program will face legal consequences. Delivering a training and certification intensive (2-3 day program). Once you have successfully completed this program you will receive dual certification. You will receive certification as a Certified Coach Educator and a Master Certified Life Coach. This is a 12 week program. For your convenience this is a blended program (online recorded classes and learning modules, unlimited personalized email coaching, accountability and progress emails to help you stay on task, and access to live private business coaching sessions). 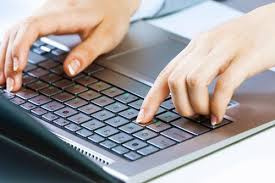 The only thing that you will need for class is a 3-ring binder to keep your materials organized, internet access, an e-mail address for communication purposes, and adobe reader to download your modules. If you don't have adobe reader you can download it here for free http://get.adobe.com/reader/ this will allow you to download your modules in PDF format. You can train from home, your office, or your favorite place to relax, any time of the day There is no need to miss work or family events. There is no need to worry about time zones. And there is no need to rearrange your schedule, or pay for airfare or hotel costs. This is a program that is designed to be convenient for you and your lifestyle. Each class is limited to 4 students only. This is so that any needed personalized attention can be provided. Weekly recorded classes (in MP3 format). Training center with resources and tools. Your materials license that grants you full rights. Unlimited email coaching during your program. You can ask any question related to your program, and you will receive a thorough and personalized response. This is a great benefit to help catapult your success in the program. You can ask questions any time you need encouragement, support, or inspiration, or that you feel stuck. You can also use your email coaching for brainstorming, to receive specific feedback, or to share ideas. Access to six private business coaching sessions (sessions are held over the telephone for 20 minutes, and are scheduled Monday-Thursday between the hours of 10 a.m. and 3 p.m. EST). These sessions can be used for anything related to your program. For instance you can discuss your marketing strategy, design your business goals, design your advanced certification program or programs, brainstorm ideas regarding your programs, design your pricing structure, receive coaching on curriculum development, receive coaching on course creation, etc. You can also discuss any challenges or obstacles you are facing and break through them. Private emergency Q and A calls for any time you need to discuss anything related to your program. This is an added bonus to your e-mail coaching opportunity. If at any time further discussion is needed beyond the email coaching, a Q and A call will be scheduled. Calls are scheduled within 48 hours (excluding weekends and holidays). Calls will last approximately 10 laser focused minutes. Program development and curriculum development consulting to assist you with the creating and launching of your certification program. You will be provided with a written evaluation to help determine the effectiveness of your program. This is a critique to help ensure that your certification program is the best that it can be. This is designed to be a fun and rewarding experience. Weekly accountability emails to track and monitor your progress. This is designed to help you stay on track and motivated during your program. Three follow-up implementation coaching and mentoring sessions after your program has ended. These sessions must be used within 90 days of your program ending. These session give you an opportunity for coaching and mentoring as you continue to implement what you have learned, and as you continue to launch your academy, institute, or school, and your coach training programs. Access to 3 months of unlimited personalized email coaching/mentoring after your program has ended. This is for any additional encouragement, inspiration, or support you may need. 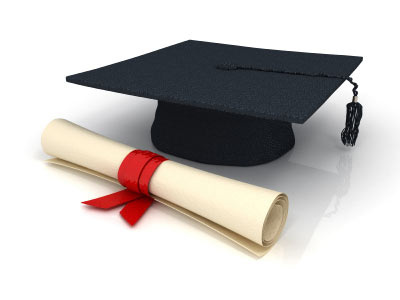 You must successfully pass a final exam with a 80% or greater to graduate from the program. You must also submit all of your competency assignments (this is your competency portfolio), and any required tasks. There is no official graduation. Graduating just means that you have successfully completed the program. Your recorded classes and downloadable modules are available for you every Monday morning by 8 a.m. EST. Option A: $6,897.00 (This is for full payment. If you are paying in full you will receive a $100.00 pre-paid tuition discount). Option B: 5 payments of $1,399.40 (The total of the program is $6,997.00). Option C: 10 payments of $699.70 (The total of the program is $6,997.00). You will learn exactly how to make your investment back. Just registering 7 students even at only $997.00 pays for your program, and you can do that over and over for years to come.